Our Classic Custom Round Leather Hand stamped, Hand Dyed Keychain is the perfect nostalgic gift! Please email us at [email protected] or the contact form above to discuss design prior to purchasing! We have 3 font sizes, 1/4 inch block, a custom Scripted font and 1/8 of an inch small font. Our Classic Round Keychain can be stamped with any one of our 3 font options. 1/4 Block Font (largest size) can fit 3 lines of text maximum. 1st line 5 letters, 2nd line 6 letters, and 3rd line 5 letters. Please keep this in mind when thinking of what to text will fit. 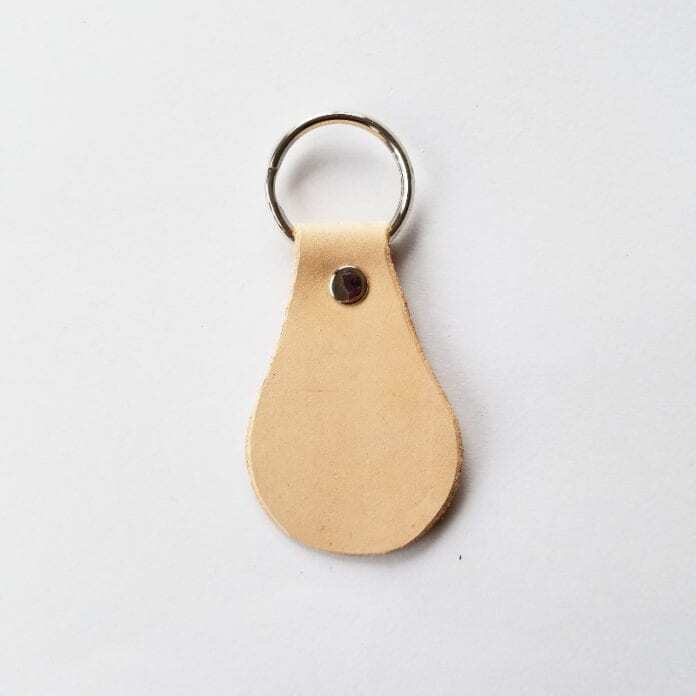 We’re so happy to see you found our custom leather keychain listing! 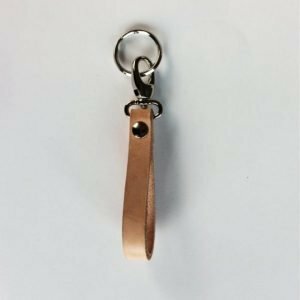 With many options this part can be confusing so do not be afraid to reach out, in fact, we encourage it when selecting the custom leather keychain! 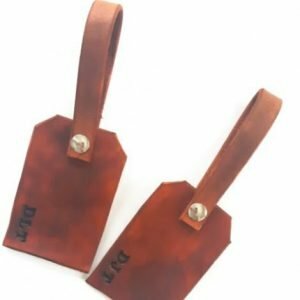 As each keychain is hand stamped, please note that slight variations can occur with the way letters are placed on the leather and may not be perfectly straight as these are handmade and not machine made. As the leather is a natural material, the colour may also slightly vary. 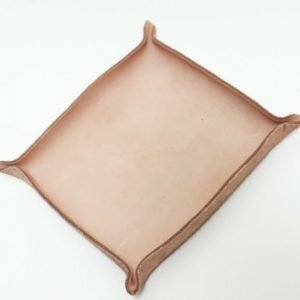 Again, as leather is a very natural product and may have small marks, colour spots that are darker than others and even a crack in the colour depending on each piece. I have no way of guaranteeing that there will not be small blemishes! But we promise that each one will be just as pretty. 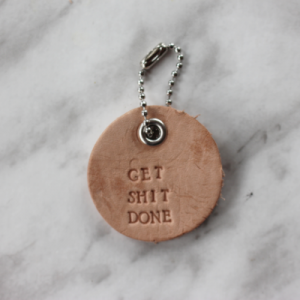 We hand select our leather, cut it at home by hand and stamp it with your favourite sayings, we are able to create amazing a custom leather keychain that you will cherish forever so please don’t be afraid to reach out and ask if we can create something special for you and your loved ones! This listing is perfect for those who want something really special, something that no one else will have! Funny nickname? Special date to remember? Send us a message we love hearing your stories and being apart of your special memories!